Very slim and pleasure to watch with new technology and blend of twist where your fish will love natural environment and you will enjoy to watch it . We are in This Aquarium business for past 22 years . Description: State-of-the-art Acrylic Wall Aquarium can be placed on the wall, it is the ideal chioce if you want to save space, it will give you a pleasantly surprised when you pass a corner. 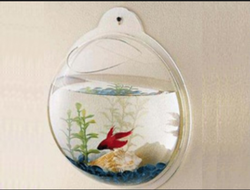 Being a well-established organization, we are engaged in manufacturing a distinguished range of Wall Aquarium. We are engaged in manufacturing wall mounted aquarium that are meticulously designed by our designers and expert professionals and are also offered in customized ranges. Available in wide variety of sizes, these contain portable and durable mini cordless water pump. 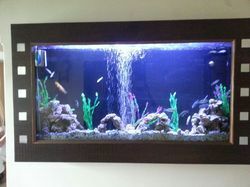 We are engaged in designing Wall Mounted Aquariums that are meticulously designed by our designers and expert professionals and are also offered in customized ranges.